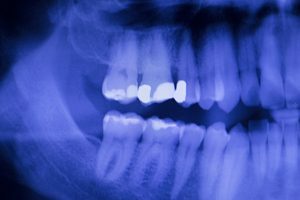 Dental fillings are now being developed by a team of researchers at the University of Nottingham and the Wyss Institute at Harvard that could actually help teeth heal themselves. It’s thought the approach – which supports native dental stem cells found inside teeth – could help millions of people every year whose teeth have been injured from dental surgery or disease. Marie Curie research fellow at Nottingham Dr Adam Celiz explained that current dental fillings are actually toxic to cells and as a result are incompatible with the pulp tissue found inside teeth. A root canal is usually used to remove infected tissue but synthetic biomaterials can now be used that are placed in contact with this pulp tissue to encourage the existing stem cell population for regeneration and repair. “These materials may provide an effective and practical approach to allow a patient to regenerate components of their own teeth,” David Mooney, Pinkas Family professor of bioengineering at the John Paulson School of Engineering and Applied Sciences at Harvard, went on to add. Figures from the Dental Defence Union (DDU) show that in the ten years leading up to 2014, root canal treatment was a feature in more than 1,400 claims from DDU members – almost a quarter of the entire total. What’s more, there were 42 per cent more claims seen in the second five years than in the first. DDU dento-legal adviser Eric Easson noted that the success rate of this kind of treatment is actually 90 per cent if carried out well but regardless, it is still a significant cause of complaints and claims made to the DDU. Looking for dental burs? Browse the Acerdent website today, or get in touch with our friendly team.